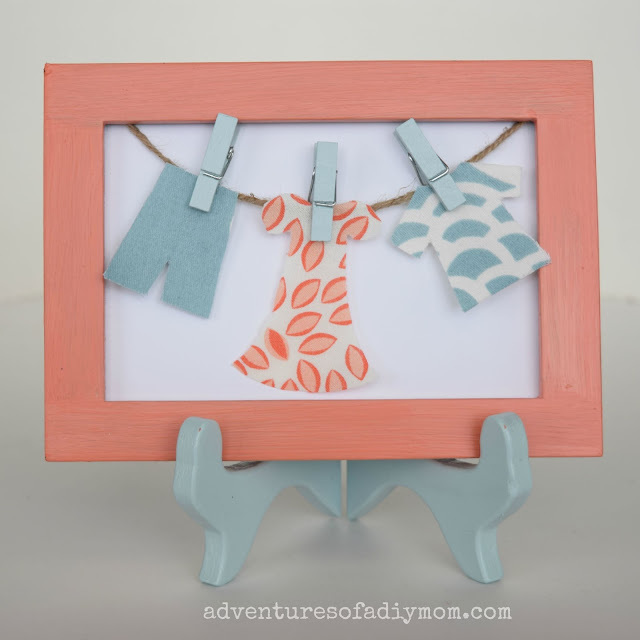 To add a little fun to my shelf over the washer, I made a cute little clothesline craft. This was created with items I had on hand, except for the mini clothespins. I found them in the office supply section of the store, of all places. 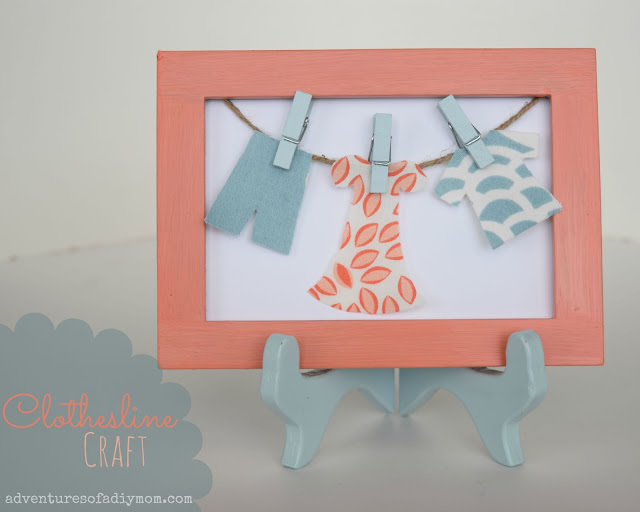 Want to make your own Clothesline Craft? I began by painting the frame and easel. Next I cut out a piece of card stock to fit the frame. I inserted a piece of twine as I put the frame back together with the card stock as a background. Next I drew a pair of pants, a dress, and a t-shirt on paper. Using the paper as a pattern, I cut the shapes out of fabric. I took apart the clothespins and painted them. Once they were dry, I put them back together and used them to hang the clothes on the clothesline.